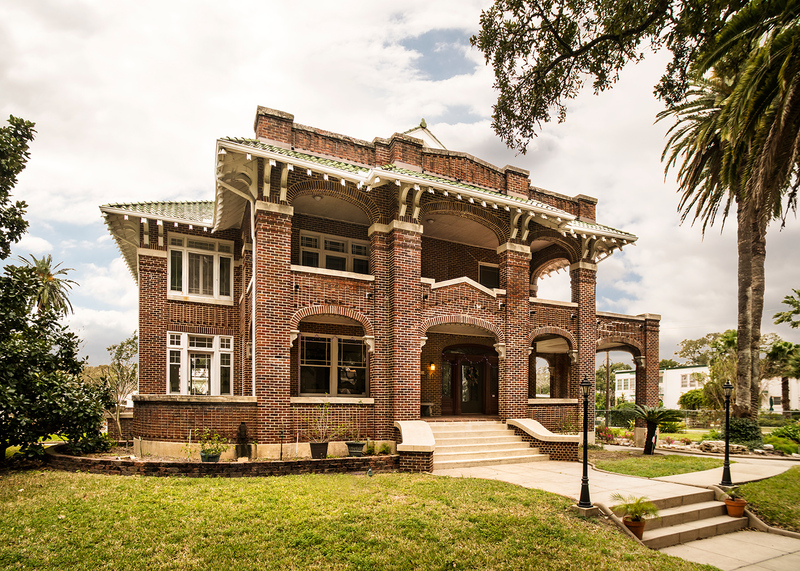 This weekend the Galveston Historic Foundation, GHF begins hosting the annual Historic Homes Tour. The tour begins Saturday May 6th, and 7th, then continues the following weekend May 13th, and 14th. This year's tour will feature eight homes, spotlight a preservation project, along with the National Bank Building. Charles Hurly was a merchant, who built and owned the home until 1880. Unfortunately the original home was severely damaged during "The Storm" of 1900; the major hurricane that struck Galveston Island on September 8th of that year. The home was rebuilt in 1910, including an addition. The Hurly home is Greek Revival style; characteristics include a fluted Doric colonnade supporting the two level porch, low pitch roof accented with large cornice, simple trimmed windows, also the façade punctuated with an arch front doorway hilighted by carved moldings, and decorative sidelights. 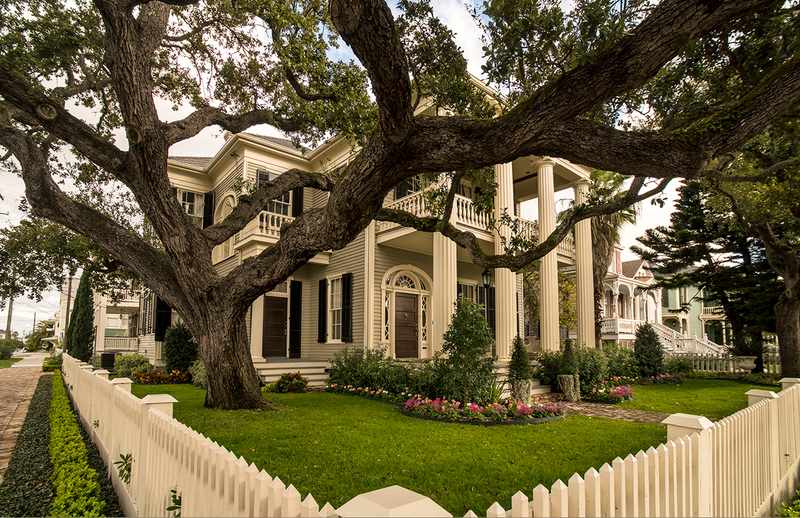 Greek Revival style became popular in the early 1800's largely due to Thomas Jefferson's interest in the style. Many of our US Government buildings are built in the Greek Revival style. Hans Goldman was a local businessman and Danish Consul. This impressive 5,500 square foot home was designed by Dallas architect C. D. Hill, in 1916. 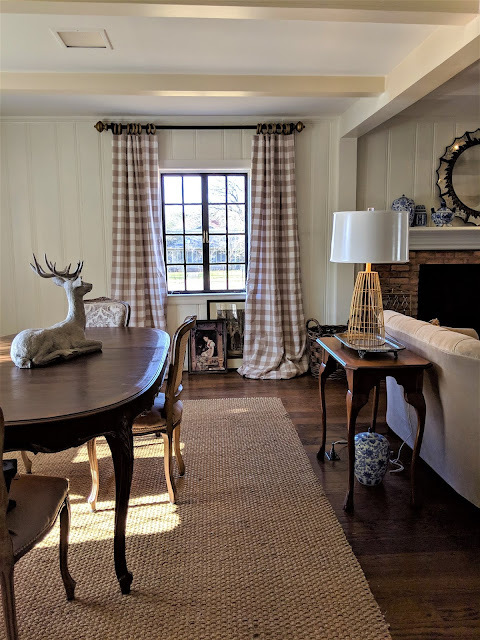 The home's main influence is Craftsman style; characteristics include the low pitched roof, deep eve overhangs and covered porches, also decorative multi pane window over one single double hung window. Accents of mission style can be noted in the square columns, hipped tile roof, as well as parapets (the low "wall" at the edge of roof), finally the arches along the lower porch. Joseph Swiff, a Russian immigrant, also owner of Swiff & Company Cotton Gin and Lumber company, had the home built. Czechoslovakian architect Rudolph Mudrak designed the Mission style single story. Mission elements include the arch windows and entry, square columns, broad overhang eves, stucco siding, as well as the hipped roofline. The GHF references that the home has 19 closets! I am intrigued by this fact, since closets on the island are an "endangered species". Most homes on the island were built in the late 1800's to early 1900's, at that time property tax was based upon the number of rooms in a home. Unfortunately, closets were considered rooms. Therefore, only the very wealthy had closets. This is a particularly interesting fact to me. Our "Sybi" has one original closet. Yes, one. I know, right?! 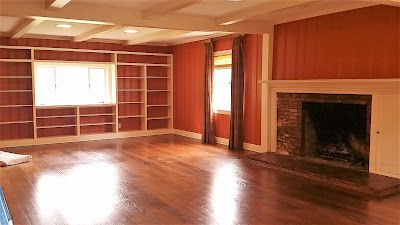 More perplexing than having one closet, it is located in what would have been the parlor. I suppose to hang guest cloaks in? William Dugery was a Cotton Pressman, an individual who pressed cotton into bales to be loaded upon ships for transport. Mr. Dugery had the home originally built in 1899, just before "The Storm" of 1900. The Victorian Townhome had to be rebuilt in 1901. 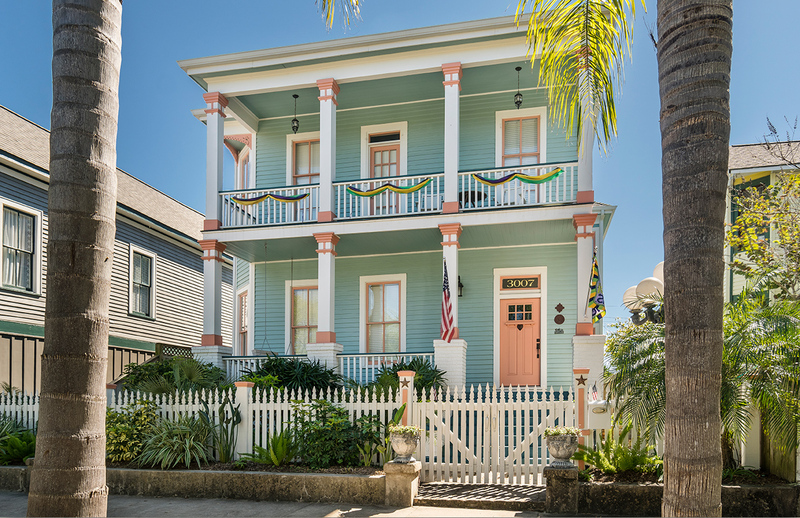 This home is fairly typical of many of Galveston Victorian Townhomes. The Townhome is characterized by it's narrow build; a center hall upon one side, here on the right, with rooms flowing off to the left , also the asymmetrical design is a classic townhome trait. This home is special to us, it belongs to two or our friends. The interior is designed in a bright casual beachy style, with artful accents that will be sure to delight. Warm, and happy as our friends who call it home. 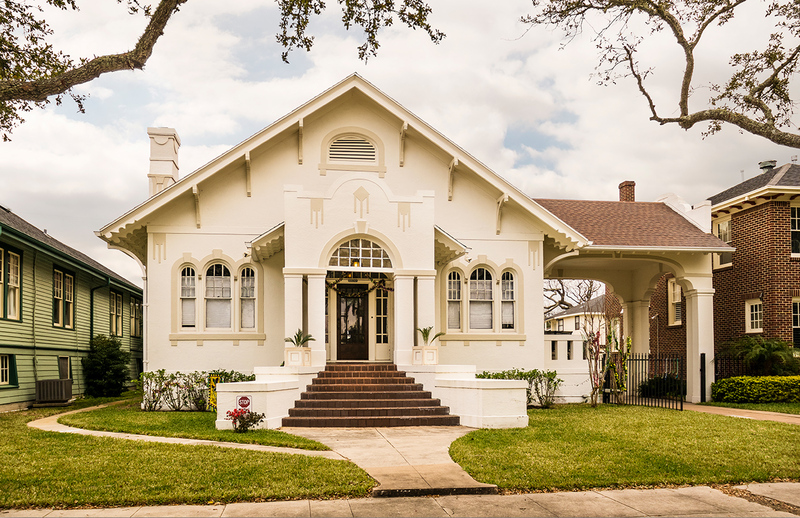 If you are in the Houston area over the next couple of weekends, the Galveston Historic Homes Tour is a lovely way to spend a few hours. The Galveston Historic Foundation is an intricate part of our island, the "stewards" of the island, you might say. Preserving not only precious homes, but commercial buildings as well. 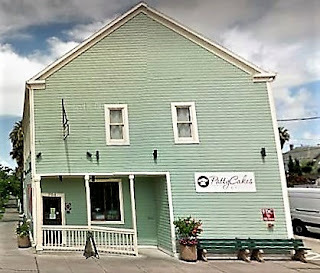 They do an amazing job, our island charm is greatly attributed to their undying devotion to Galveston. For additional information, or ticket purchases go here. The tale of breathing new life into a historic 1939 English style cottage, in the small town of Corsicana, Texas. Interior design, gardening, tasty fare and someday schemes; this is my memoir of our adventure.